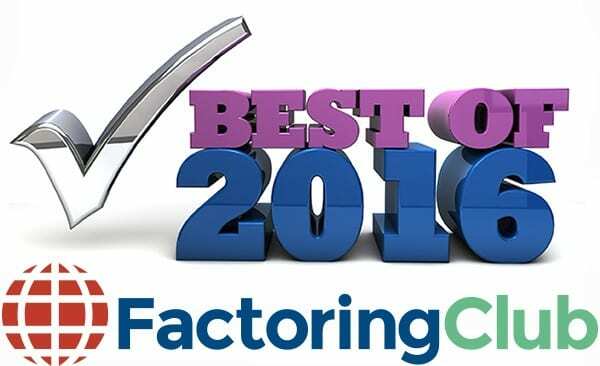 We are very excited to announce that SouthStar Capital has been awarded the “Best Government Factoring Company” for 2016 by the Factoring Club! This award was based on user feedback, factoring agreement terms and conditions, and our direct business relationship with the Factoring Club. At SouthStar, we have a team of dedicated experts in the area of Government Contract Financing, or Factoring. We specialize in providing working capital solutions to Prime and Sub-contractors for State, Federal and Municipal government projects. Our team is also very familiar with the Federal Assignment of Claims, as well as Contract Modification. In addition, we work with a variety of programs and qualifications tailored to small businesses such as WSOB, 8(a), VOSB, and many others. We know that being awarded a Government Contract is an exciting time for our clients, but that it may also raise a few questions. Such as, “How do I meet my payroll, vendor, & other obligations while the project is being completed?” With our extensive background in government contracts, we are able to customize solutions to provide our clients with the growth capital needed to fund task orders, as well as any other capital needs for contract completion. Since time is a top concern for most businesses, we provide initial funding within 2-3 days and additional funding within 24 hours. Learn more about your Government Contract Financing options with SouthStar Capital! Click Here to read the full article from the Factoring Club! ← Your Business needs Cash Flow, but You have Poor Credit…Now What?